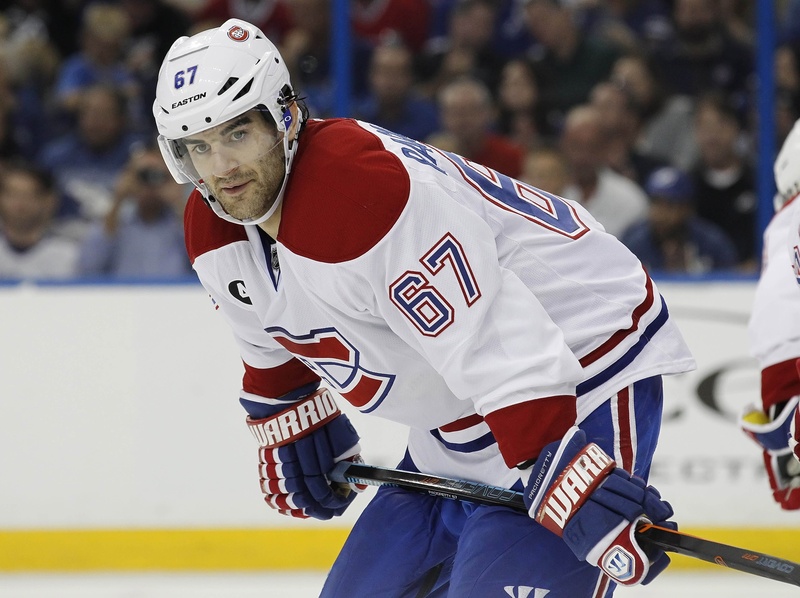 The Montreal Canadiens have named Max Pacioretty as their team captain. Pacioretty will be the 29th team captain in franchise history. He was voted to the post by the players. Andrei Markov, Tomas Plekanec, P.K. Subban, and Brendan Gallagher will serve as alternate captains. Allowing the players to vote on their team captain is certainly the best way to handle these sorts of situations. There were many other options floating around in the media, including Subban, but in the end the democratic process slapped the big “C” on Pacioretty’s sweater. Done and done. Pacioretty had 67 points in 80 games last season, including seven power play goals and 10 game-winners. He was third overall in shots on goal with 302. And in the post-season, he managed seven points in 11 games. Pacioretty was drafted 22nd overall by the Canadiens in 2007 and is a pure Habs product through and through. The team is clearly very proud of this fact, detailing his time with the AHL’s Hamilton Bulldogs and the Canadiens in their press release. Pacioretty becomes the third United States-born captain in franchise history, coming on the heels of the U.S.-born Brian Gionta. Chris Chelios was a co-captain with Guy Carbonneau for the 1989-1990 season, for those who care about that sort of thing. What’s more, Pacioretty is the first American player to reach 30 goals in a season with Montreal. In 399 games, Pacioretty has 144 goals. He’s had three 30-plus goal seasons and reached 39 goals in 2013-2014.